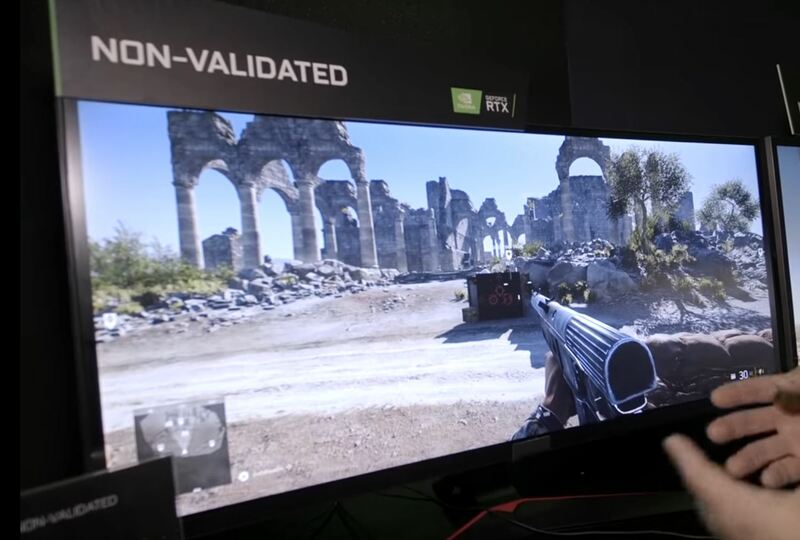 How about the 144hz freesync ones, do they have to run at 120 or lower to not have issues with nvidia card? Depends, I dont think the 32GK850F has issues, while the EX3203R doesn't run above 100Hz on nvidia. Even though they're both based on the same panel. Most monitors that have freesync will run at their full hz with no problem. I had a 75hz LG freesync monitor. Worked like a charm with my 1070 with no frameskipping. Same with my S2719DGF.Works at 155hz with no frame skipping. So as someone that's considering spending +750 for an IPS w/gsync in 2-3 months, what does this mean? I'd be very curious if someone does an independent Gsync round up comparison test of a bunch of monitors so we can see really which ones will work with Gsync and how well. For me personally it's the 31.5" 1440 ones that I'm most interested in since I just got the LG 32GK850G. u can see it's the same monitor from the stand. The panels don't care, you could drive them 10kHz if you wanted to. It's the electronics that differs between monitor makers. One board is often from panel maker (though someone else likely manufactures it) and that one is specific to the panel, it drives the panel, TCON (timing controller), this board is fed by yet another board, the board to which you plug DP, HDMI, ... cables, it does all the image decoding, processing, OSD overlay, ... it can do overdrive but I think TCOn can do overdrive as well. Meaning, it's BenQ's fault or Nvidia's fault if the same monitor works in the same mode on GPUs not from Nvidia. I will check the status on Q3279VWFD8 once the driver is available and isn't a pile of mess. It has been reported that turning this LG monitor off and on fixes the issue and this seems to be an issue with their driver right now as it needs to be done on ALL monitors and is even in the reddit "guide" on how to enable adaptive sync. Enable adaptive sync, then turn monitor off and on. My Q3279VWFD8 needed a bit more than one off/on but the GPU and driver finally stopped their mess and synced up correctly. 4K Adaptive Sync /FreeSync Monitor running G-sync on Nvidia card. Last edited by gerardfraser; 01-17-2019 at 01:23 PM.